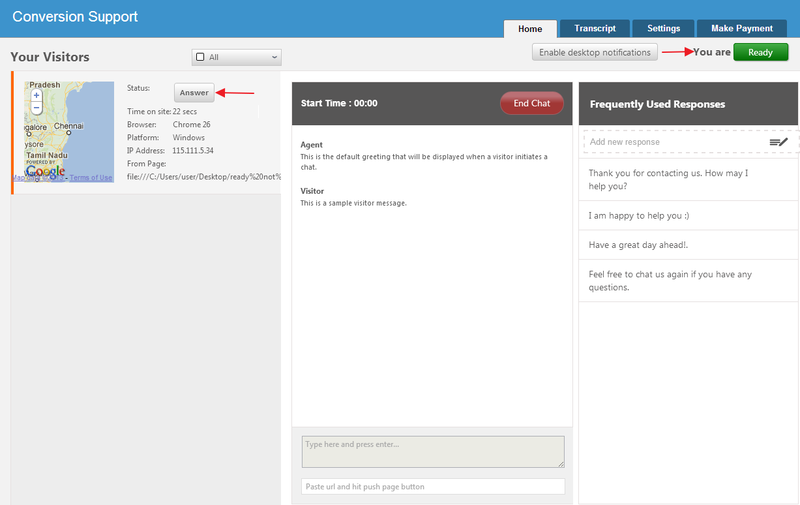 Your live chat agents or chat operators may sometimes, do not want to receive chats while they are logged into your Conversion Support chat console. Sometimes, you may want to use a switch which can turn off chats for a while. Conversion Support has a “Ready/Not Ready” feature which allows you to set your status as “Ready” or “Not ready”. When the agent’s status is “Ready”, he will receive chats as usual. However, when the status is “Not ready”, he won’t receive chats from website visitors. Using “Ready/Not Ready” is really simple. Once you are logged in to your Conversion Support account, you will see the “Ready” button under the “Home” tab. When the status reads “Ready”, your live chat agent will be notified of new chats. When it reads “Not Ready”, your live chat agents will not be notified of any chats, however, they can still see and say hello to visitors. 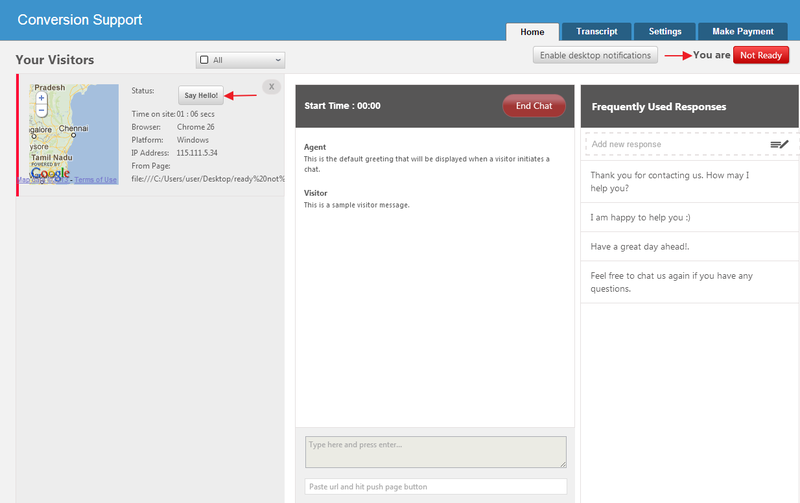 The “Ready/Not Ready” feature is useful when your chat agents are busy and do not want to take chats for sometime.